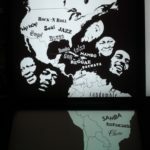 People of African descent not only brought their own musical traditions with them, they also created new music genres in America. 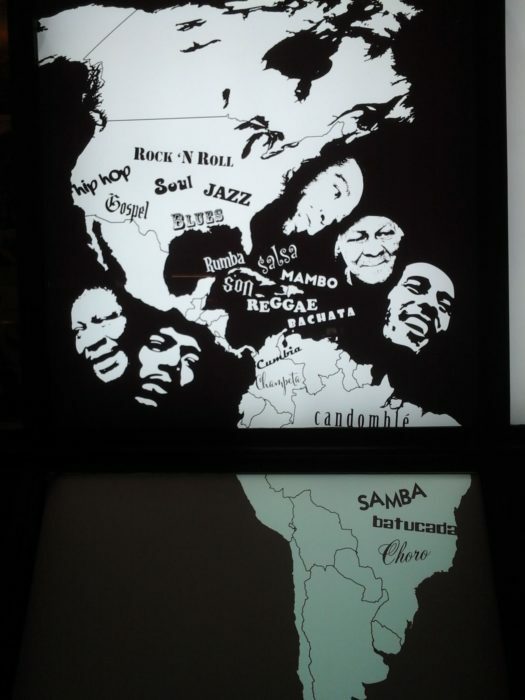 Often these were the results of a mixing of cultures. 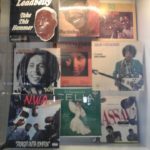 Well-known examples are Reggae, Jazz, Blues and Rock. 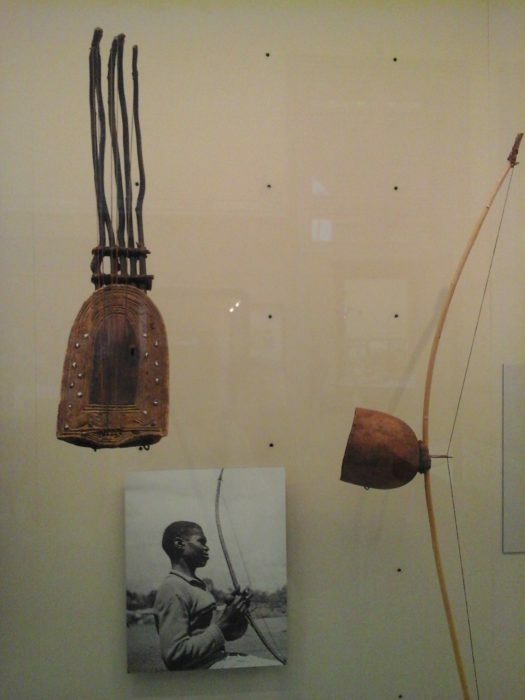 An original African instrument is for example the lamellophone, also known by local names such as sanza, mbira or likembe. It is mainly used by solo singers to accompany themselves, but it also appears in orchestras. Often little pebbles or seeds are added to the instrument. They resonate and enrich it’s timbre. 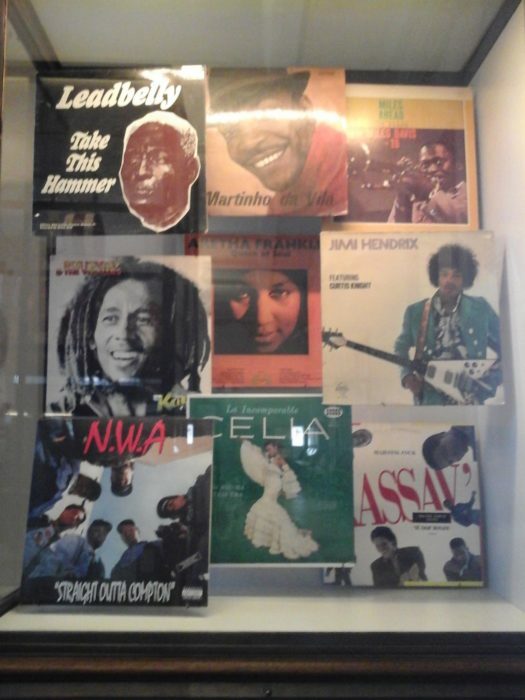 In the museum’s shop are only a handful CDs from Africa. 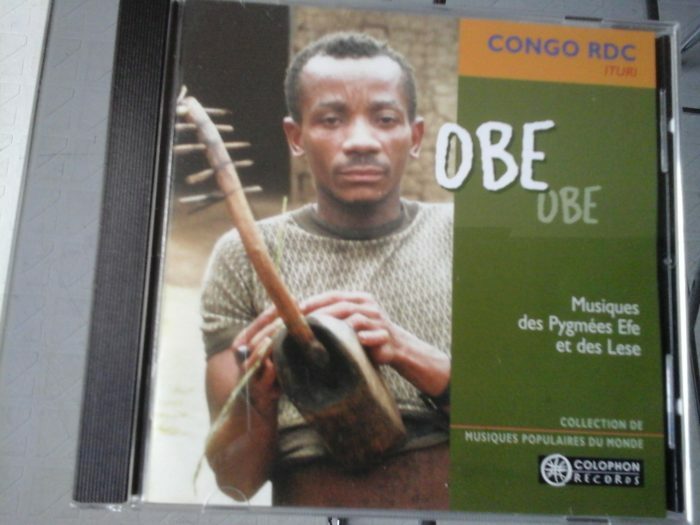 I decided to buy a CD from the Efe pygmies, who live in the North-east of the DR Congo. They live in contact with forest farmers groups: the Lese and the Mamyu. 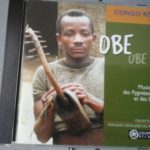 The Efe songs are very rich and beautifully structured vocal polyphones, a characteristic of the Pygmies. (Polyphonie ist eine multilineare Praktik. Bei dem Spielen eines Musikstück überlagern sich mehrere melodische Stimmen mit einem unterschiedlichen Rhythmus. 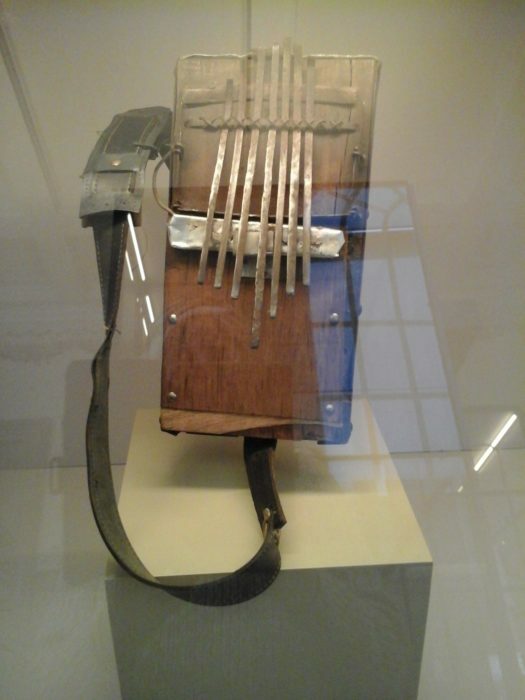 Um eine Polyphonie erzeugen zu können, muss eine Polyrhythmik bestehen. 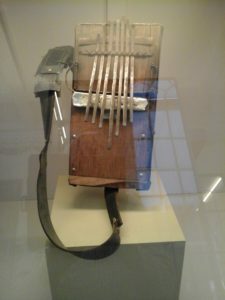 Polyphone Ensembles können Gesangs-oder Instrumentalensembles sein, oder beides gleichzeitig. Die Polyphonen Techniken sind abwechslungsreich. Polyrhythmik ist eine Übertragung verschiedener unabhängiger Rhythmen, die sich auf eine gemeinsame temporale Referenz stützen, dem Takt. 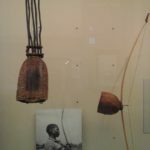 Mouth bows are used before the hunt to trap the animals minds. The pigmies play their music to special events like honey collecting, after a good hunt, circumcision , initiation or just to worship the spirit of the forest. I find it funny, that they yodel in their singing. Wenn man sich von der Vorstellung einer schreienden Erstklässler Meute befreit hat und sich auf die Eigenschaften der polyphonen Songs der Pygmäen einlässt, reist das innere Ohr sehr weit. Dieser Beitrag wurde geschrieben am Sonntag, 7. April 2019 und wurde abgelegt unter "Blog". Du kannst die Kommentare verfolgen mit RSS 2.0. Du kannst hier einen Kommentar hinterlassen. Pingen ist zur Zeit nicht erlaubt.